VIP Dogs are special, very well-trained dogs that were not suitable for working with a client in public. This dog can be placed with a child or adult who has a disability as a pet. 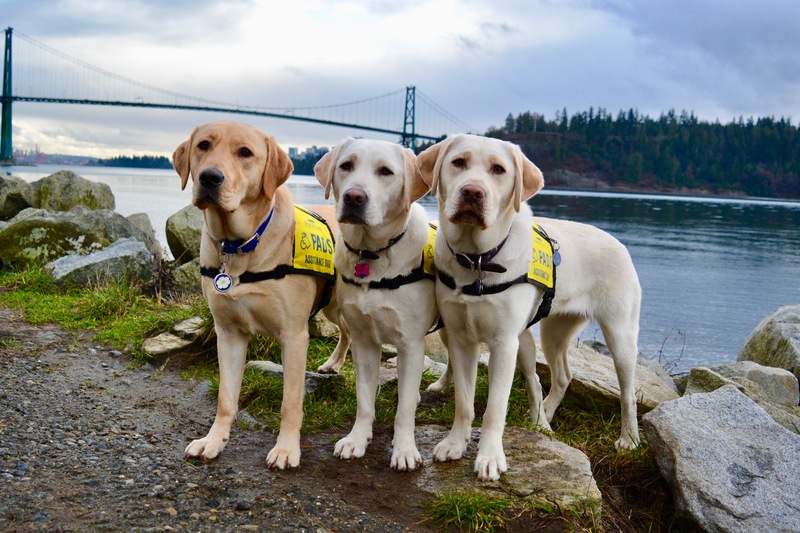 These dogs do not have any public access or special skills training, they are young adult dogs that we believe will be an asset to somebody with a disability looking for the companionship and love a dog can provide. We also understand that while many parents of a disabled child would love to have a pet for their child, the time and effort it would take to train and socialize a dog enough for it to be safe around the child is not always doable. Our VIP list does not work in a first-come-first-served fashion, as we strive to match the personality, breed and energy level of the dog with the preferences of the applicant. Therefore, the broader you are in your selections, the greater chance we will be able to match a VIP Dog with you. Since all PADS’ Dogs are released for a reason that makes them unsuitable as an Assistance Dog, we won’t consider applications where the applicant is requesting a dog without any problems. An adult must be home during the day. While in puppy-raising, a PADS puppy is never left alone for more than four hours total in a day, therefore they are unaccustomed to spending long periods of time alone and away from people. Since the dog is already making a big adjustment moving from the puppy-raisers house to yours, it is unfair to add the stress of being alone to the dog as well. If an adult will not be home during the day we will not consider your application. VIP Dogs are only placed with individuals with a disability. Preference will be given to children with disabilities, but we also accept applications from adults with disabilities who do not require a Service Dog, but would like the companionship of a well-trained and socialized dog. Because they are simply pets, VIP Dogs do NOT have public access. PADS Dogs cannot be left for more than 4 hours at a time. If you have a yard is it fenced? This is not a requirement, but helps us to match you to the right dog. Species, breed, size, age, temperament, etc. Do you have previous experience with dogs? That will be matched with the dog. Please provide us with as much detail as possible so we can best match you to the right dog. Physical abilities/limitations, personality, emotional needs/concerns, etc.